Thank you for requesting a free water analysis. We will be in contact with you shortly. McKinley Water Conditioning has been serving the Central Illinois area since 1964. 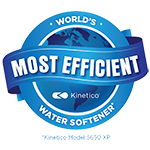 Family owned and operated, McKinley Water Conditioning has supplied customers with the very best equipment available. Every product we sell or rent is considered to be the finest product available in the industry.